Are You Struggling to Know Your Purpose? ✔ Are you starting to believe your life doesn't matter? ✔ Do you desire to experience peace with God? ✔ Are you ready to create the future you've dreamed of? "Spiritual DNA has helped to reduce the amount of lost time and frustration I have experienced in the past. There is a great freedom in knowing what I am designed to do!" It's time to realize that your life matters. Overcome the frustrations on your journey. Learn how Spiritual DNA can give you the tools you need to help you discover who you were born to be. "After taking Spiritual DNA, I saw myself in a new way! I learned that things I used to be critical of about myself were actually gifts. Spiritual DNA was like looking into a book about my life written by God." How will Spiritual DNA help me? We know that you want to move from feeling insignificant to understanding your purpose. First, you need to know that your life matters. You're not sure where to start, though, which makes you feel scared and frustrated. We also understand what it's like to feel unsure in the pursuit of becoming who you were born to be, which is why we've helped over 3,000 people discover their purpose through our online course, Spiritual DNA. Start becoming who you were born to be today! Join the thousands of other Spiritual DNA alumni across the nation who have conquered their fears and discovered who they were born to be. Start today by buying Spiritual DNA, discovering who you were born to be, and changing your world. 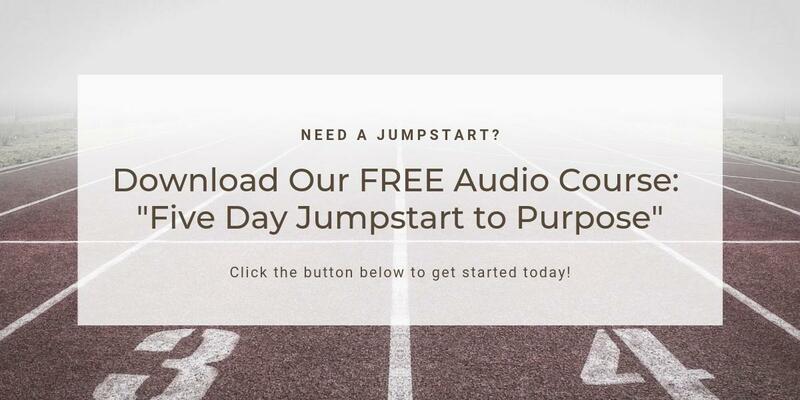 Get your FREE "5-Day Jumpstart to Purpose" audio course.